Get up to $2,500 in Honda cash discounts on all remaining in-stock 2018 CR-Vs! 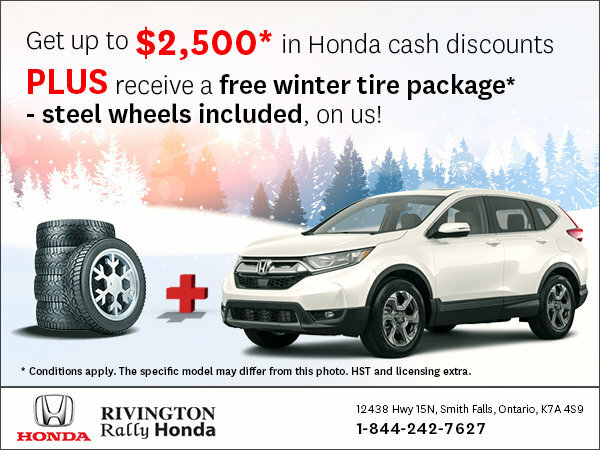 PLUS receive a free winter tire package - steel wheels included, on us! Some conditions apply. HST + licensing extra. *Conditions may apply. See dealer for full details. HST and licensing extra.